During the Oct. 24 dress rehearsal of Roberta Jones Junior Theatre’s “Pinocchio,” about 25 young cast members illustrated the story of a father’s infinite love for his child. Directed by Katie Ratermann, this musical introduced an elderly and unmarried toy maker named Geppetto who longs for his own child. Geppetto creates a wooden puppet named Pinocchio. When Pinocchio comes to life, he is disobedient and makes choices that separate him from his father, however, Geppetto refuses to rest until he finds his son again. Distinguishing this musical from other American musicals was the occasional use of Italian in the cast members’ lines and singing. 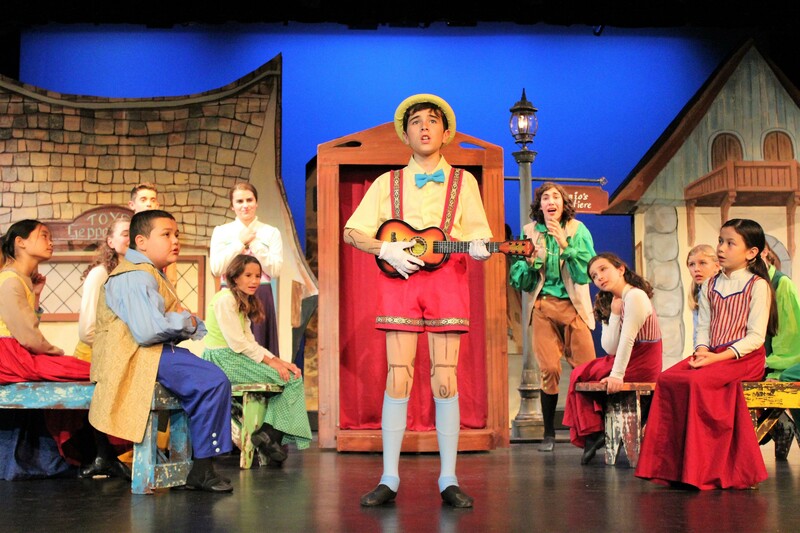 For example, the show opened with a solo from the narrator Antonio, played by Jack Lingscheit, 13, who sang “Buon Giorno,” meaning “good day.” Eventually, the townspeople joined in on this song. 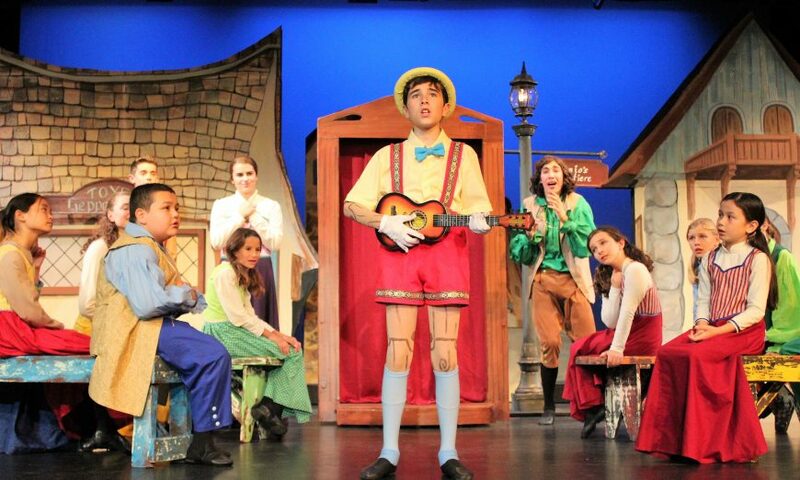 Pinocchio, played by Diego Navarro, 12, proved his worth to the skeptical townspeople by singing the dreamy “Santa Lucia” in Italian. Mesmerized by a puppet who could perform without being pulled by strings, the townspeople joined in on the song. YouTube was a helpful resource for Navarro, who referred to videos of the song to help him learn the notes. “Pinocchio” opened on Oct. 26 and will run until Nov. 4. Visit www.rjjt.org for more information about future shows and audition opportunities.